It could be a service you offer or a tangible item. Many entrepreneurs struggle with sales. Is anyone buying your product? You cannot grow your business if you don’t sell anything. 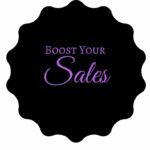 Today, I want to share some tips that will cause you to make great sales and grow your business. The other day I went to a beauty store to buy some hair oil. The cashier started talking to her friend who had walked into the store and ignored me for 5 minutes. I could have walked away, but I know the owner of the shop. So I persevered and waited while she finished her conversation. If she were a good sales lady, she would know that the customer is valuable because they are parting with their money to give it to you. When you talk to your customers or clients, be present. Show them you are interested in them. Train your sales team to behave in the same way. Making sales is about building a relationship with your prospective clients. It’s not just about wanting their money -period. People are smart and can tell when all you want is their money. This attitude is off-putting to your customer. You want to avoid it being their first impression of you. It is easy to ignore basic stuff like; answer your emails from clients and answer left messages on your phone. These are your potential customers so don’t ignore them. Be polite, smile, greet your customer and shake their hand if you can. Be willing to go the extra mile. Don’t do the bare minimum, always over-deliver. It will eventually pay off. Have you ever attended a training or a workshop where you felt the trainer gave no value and wasted your time? You certainly won’t go back or recommend it to your friends. Last month I went to a soup restaurant with some friends. They had a variety of soups. We asked the waiter which soup she thought was the best. She said she had never tasted anything from that restaurant. I doubt I will be going there again. If the waiter has never eaten that soup, why should I? My imagination started going wild with thoughts of why the waiter does not eat the soup. Only sell what you use or what you believe in. In the old model, people used to create a need and sell a product. In today’s world, you have to define a need and find how you can solve a problem. A need would be; people suffer from dry scalp during the cold season. Produce a product that can be used to prevent customers from getting dry scalp, and tell them you can solve their problem. Two years ago, someone wanted to sell some cassettes about an opportunity. I wasn’t sure what the opportunity was. I told them I don’t think I need them, but they insisted they will send me a copy to listen to, and went ahead and posted three copies. The cassettes are somewhere in my house, and I’ve never listened to them. Don’t force things on your customers or push your agenda forward. It does not work because you cannot make someone like something. They have to be interested in your product. Finally, the secret to making sales is to listen more and communicate less when you meet a new prospective customer. Listen to what they have to say. It will give you clues to what they really want or how you can best serve them. Sales are all about serving your client or customer. Have you joined the Zealous Business Group yet? Awesome advice for anyone. I like the simple, straight-forward way you write. I think the suggestion that you only sell what you believe in is so true. I work with mobile apps and these are kind of like the website was in 2000. Most businesses don’t understand how important they are and what an easy product it is to increase your bottom line. I guess what I’m saying is that I believe in them. Thanks. Many people don’t believe in what they are selling, this makes for poor sales or loosing a customer. Happy you believe in your product.